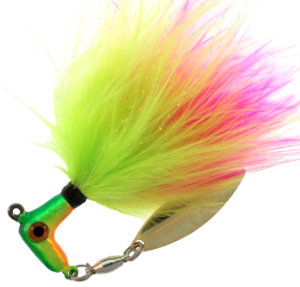 Triple the Marabou, super sticky sharp hook and a willow leaf blade sets the Salmon and Steelhead Road Runner apart from all other lures. SSR-14-634 – Salmon Steelhead Runner – Fire Craw 1/4 oz. SSR-14-636 – Salmon Steelhead Runner – Golden Craw 1/4 oz. SSR-14-642 – Salmon Steelhead Runner – Blue Fusion 1/4 oz. SSR-14-644 – Salmon Steelhead Runner – Shad 1/4 oz. SSR-14-660 – Salmon Steelhead Runner – Firetiger 1/4 oz. 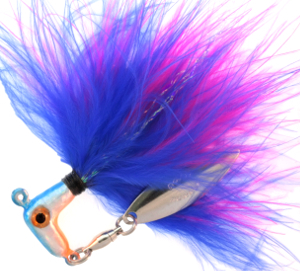 SSR-14-663 – Salmon Steelhead Runner – Pink Smelt 1/4 oz. SSR-14-668 – Salmon Steelhead Runner – Rainbow Smelt 1/4 oz. SSR-18-634 – Salmon Steelhead Runner – Fire Craw 1/8 oz. SSR-18-636 – Salmon Steelhead Runner – Golden Craw 1/8 oz. SSR-18-642 – Salmon Steelhead Runner – Blue Fusion 1/8 oz. SSR-18-644 – Salmon Steelhead Runner – Shad 1/8 oz. SSR-18-660 – Salmon Steelhead Runner – Firetiger 1/8 oz. 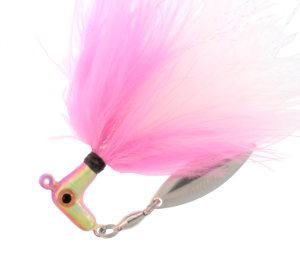 SSR-18-663 – Salmon Steelhead Runner – Pink Smelt 1/8 oz. SSR-18-668 – Salmon Steelhead Runner – Rainbow Smelt 1/8 oz. 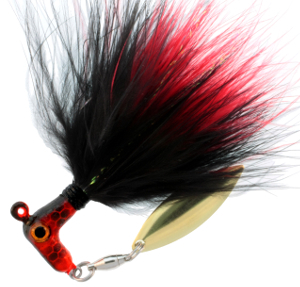 SSR-38-634 – Salmon Steelhead Runner – Fire Craw 3/8 oz. 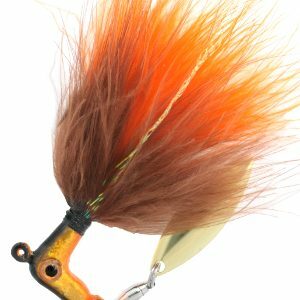 SSR-38-636 – Salmon Steelhead Runner – Golden Craw 3/8 oz. SSR-38-642 – Salmon Steelhead Runner – Blue Fusion 3/8 oz. SSR-38-644 – Salmon Steelhead Runner – Shad 3/8 oz. SSR-38-660 – Salmon Steelhead Runner – Firetiger 3/8 oz. 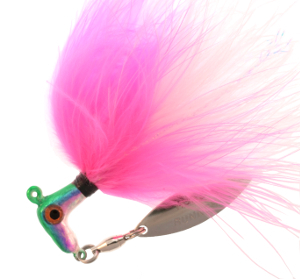 SSR-38-663 – Salmon Steelhead Runner – Pink Smelt 3/8 oz. SSR-38-668 – Salmon Steelhead Runner – Rainbow Smelt 3/8 oz.